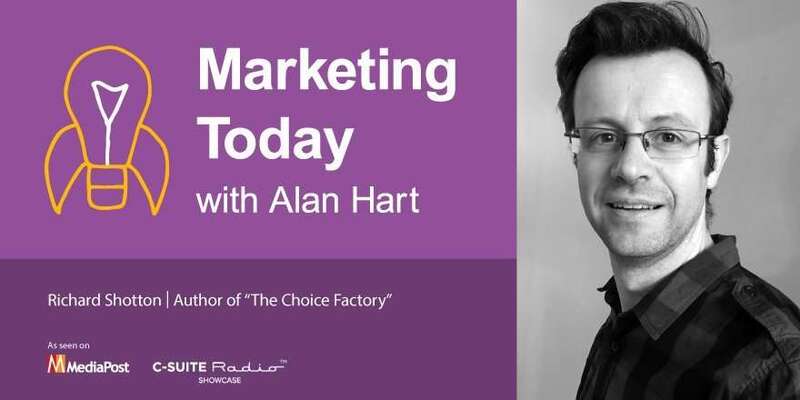 In this week’s episode of “Marketing Today,” Alan talks with Richard Shotton, author of the book, “The Choice Factory: 25 Behavioural Biases That Influence What We Buy,” which was published earlier this year. Shotton started in advertising as a media planner, working on brands such as Coke and Lexus, before becoming inspired by the idea of applying behavioral psychology to business problems. Presently, he is head of behavioural science at Manning Gottleib OMD. In addition, he recently founded the consultancy, Astroten.